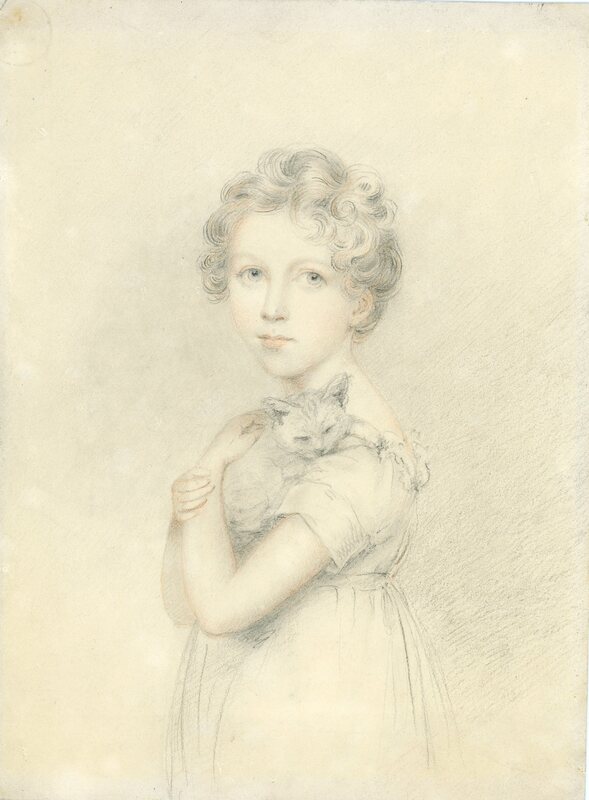 An enchanting portrait of the artist’s niece, Selina Plimer, cradling her pet kitten named Scrubs. 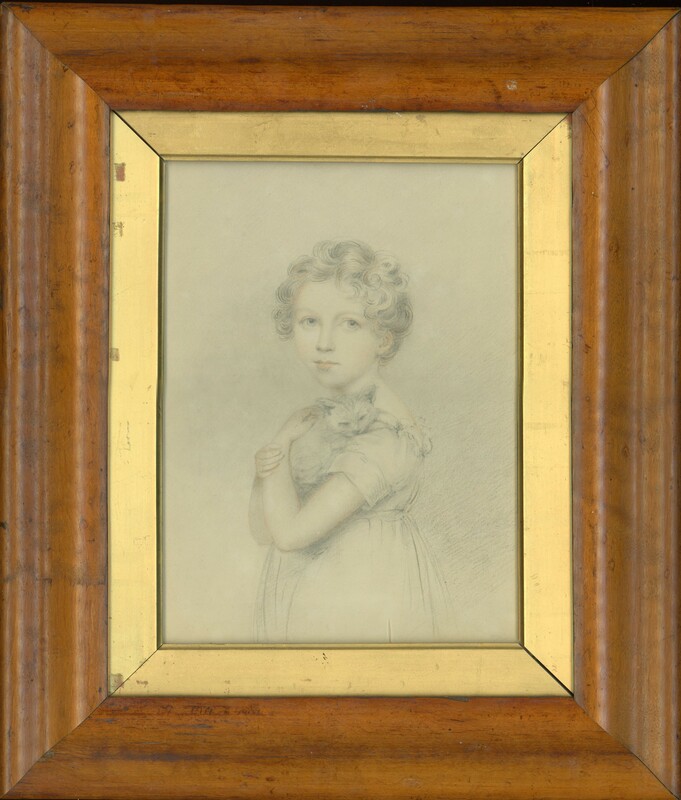 Selina was the youngest daughter of well-known miniature painter Andrew Plimer and his wife Joanna (née Knight). She was born in 1809 and died unmarried in 1841. Drawn in graphite with watercolour by Mary Ann Knight and presented in a handsome maple veneer frame with a deep gilt slip. Mary Ann Knight (1776-1851) took up painting originally to help out with the family finances. She was a pupil of Andrew Plimer who later married her sister Joanna and her work bears resemblance to that of her teacher. 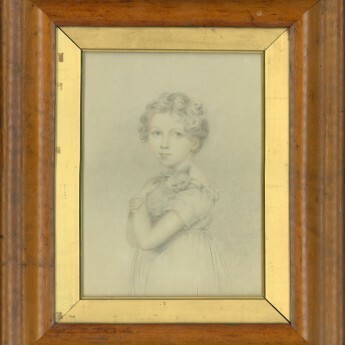 Mary Ann exhibited that the Royal Academy between 1803 and 1836.